Peelin' Drag Extreme Fishing: Holy Shad! 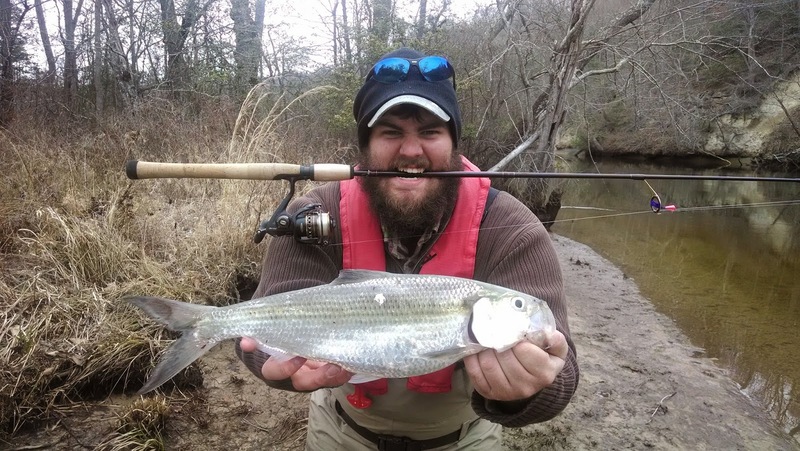 Armed with a few years’ worth of fish log data, and a healthy dose of optimism, Grant and I set out to have our best shad season to date in hopes of kicking off the launch of our website and our brand with a bang… and we did exactly that. 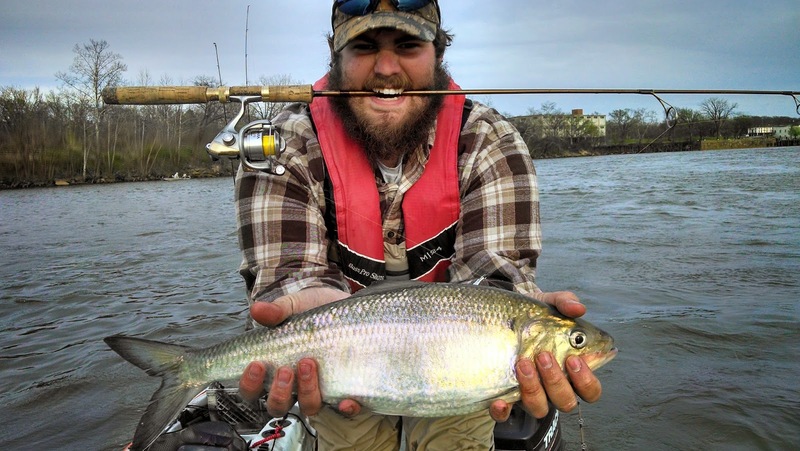 Generally our shad fishing is relatively laid back and fairly low key. 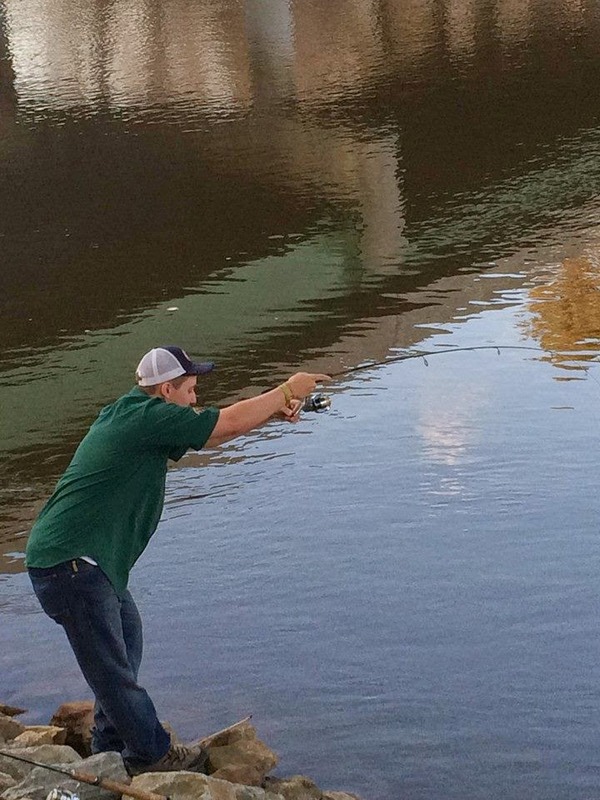 It consists of fishing for shad in hopes of turning that catch into a citation blue cat via fresh cut bait, or leisurely catching a dozen or two as a way to break us out of the winter doldrums. We raised the bar for ourselves and set our goals beyond just catching bait, to making this a year we can highlight in our tattered log books. We set out in early March to meet the largest of the upcoming season’s fish. Though everyone assumes the Shad Run in Virginia starts in the first of April with the Dogwood bloom, it actually starts much earlier than that. Although March lacks in numbers of fish, it well makes up for it in size. 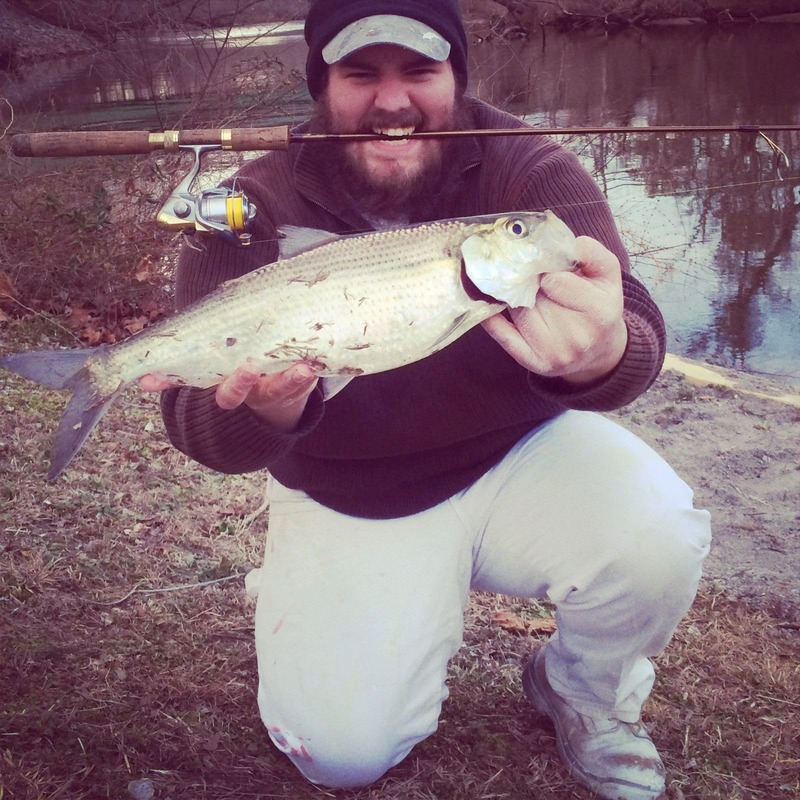 Spooled up with the lightest line possible, 2lb test, we hit one of our favorite waterways for shad, the Mattaponi River. Fishing with 2lb test is one of the most frustrating experiences I've ever had while on the water. 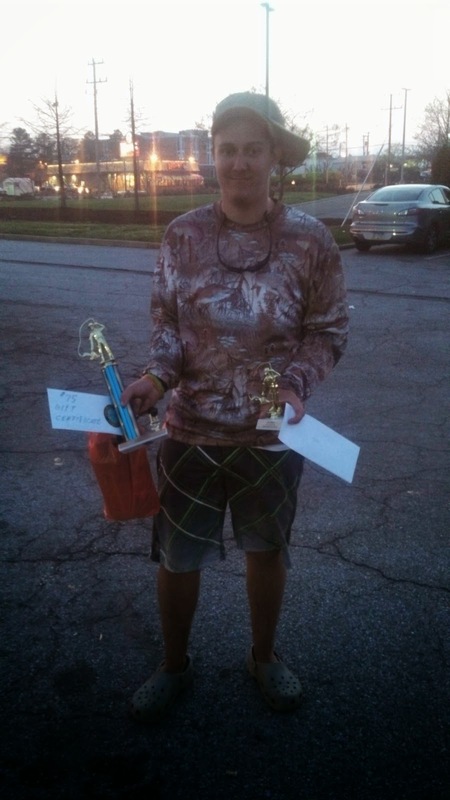 I personally chased the IGFA line class record for Hickory Shad all season long to no avail. 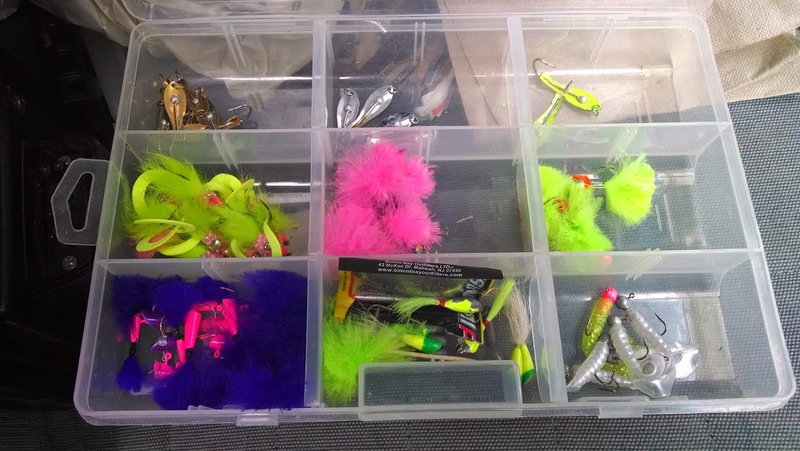 Throwing more gear in frustration and spending more money on shad spoons and darts in the course of a few weeks than I ever thought possible… around $150… yea…. lame. I had to admit temporary defeat; however, the shad run is an ever shortening window when it comes to these large roe laden females. Therefore I was forced to give up on breaking the record this season, too much money spent for less and less payout every trip. On a trip out to salvage what ended up being an ill-fated, super late, Yellow Perch run I did manage to break the current IGFA 12lb line class world record for Hickory Shad. We set out on the Mattaponi with the intention to try and score a trophy Perch before the season was up but because the runs of shad and perch were coinciding we took our shad gear as well. 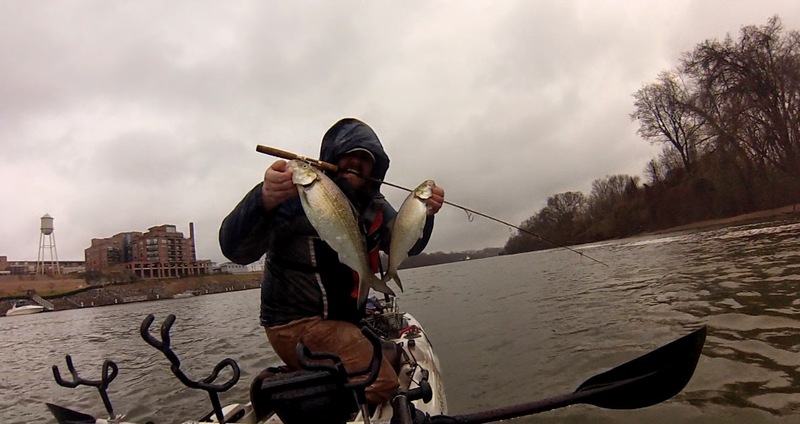 Grant and I both picked off a few decent perch but the gloomy day had more in store for us. After about 20 minutes of watching Grant pound fish on the 2lb test, I switched over to the 12lb just for the hell of it. Sure enough on the first cast with the 12lb, a big female slammed my purple and pink shad dart. Instantly we knew I had the new record on the end of my line… primarily because we knew the current record is so low (due to the fact that throwing 12lb mono is equivalent to throwing weed eater cord). The rest of the day consisted of getting dumped on by cold rain and brutal winds…. Oh yea and yelling “World Record!” at the top of my lungs until Grant basically stopped talking to me…. keeping it classy. Just as a disclaimer, the record still has to be reviewed and verified by the IGFA to be official. That means, at this time it still “pending”; as long as the scale, my photos, and my line sample check out it should be good to go! 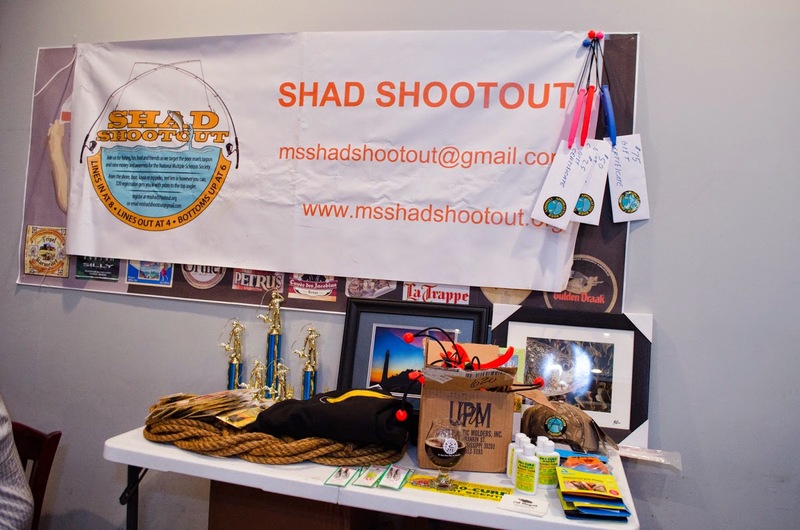 With faze one complete, we set our sights on the seasons’ only shad tournament for this region, the 2014 MS Shad Shootout. Now, before we get too involved with the outcome of the tournament itself, let me give you the background on this event. Here’s the skinny, the MS Shad Shootout has been held out of Anncarrows Landing annually since it started in 2012. The core reason for the tournament is to raise money for Multiple Sclerosis awareness and in the end help find a cure for a disease that deteriorates the mind and body. As if that weren't enough of a reason in itself, it’s also a great time with some awesome people. Thom Mattauch, the chairman, really knows how to run a smooth and fun tournament! For more details check out www.msshadshootout.org. 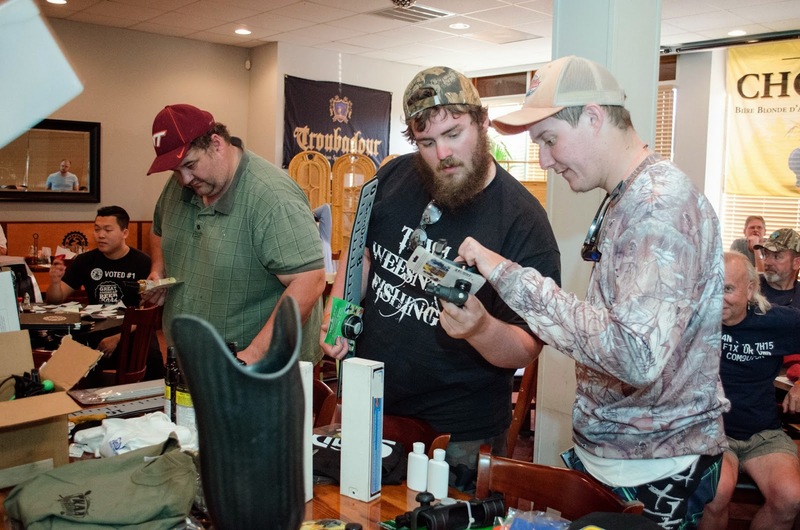 After a lively and laughter filled captains meeting at Appomattox River Company in Midlothian the night prior to launch, we headed back home to do some rigging and a little last minute game planning. 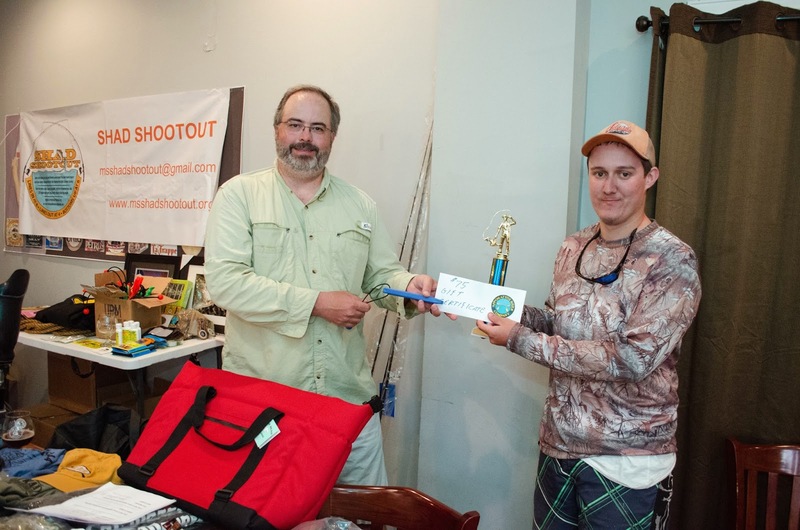 The shootout is the best overall length between two shad and one catfish. Therefore it takes a little bit of planning before you hit the water to be successful. 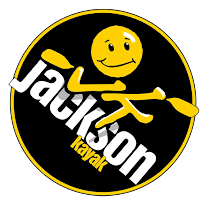 The next morning we met up at the ramp and launched with high hopes of bringing home the gold…. little did I know the day was going to belong to Grant. We hit the spot we deemed best suitable for our tide conditions and waited for the 8 a.m. “lines in” call. It was kind of funny, I’m usually pretty tense in these situations, it’s not normal on tournament day to be able to enjoy the sunrise and get a chance to relax before you start fishing. Anyhow, the clock struck 8 and the lead began to fly. We rained down the spoons and darts well beyond mid-day before we ever began catfishing. After netting a 19 inch American Shad and a 15 inch Hickory for Grant, I began to feel the pressure. The shad were not as concentrated as we had hoped they’d be due to recent high water conditions, thus leading to a less than pleasing number of fish. Nonetheless Grant left me in search of a good cat, leading me in shad by 5 inches, and sure enough he found one. 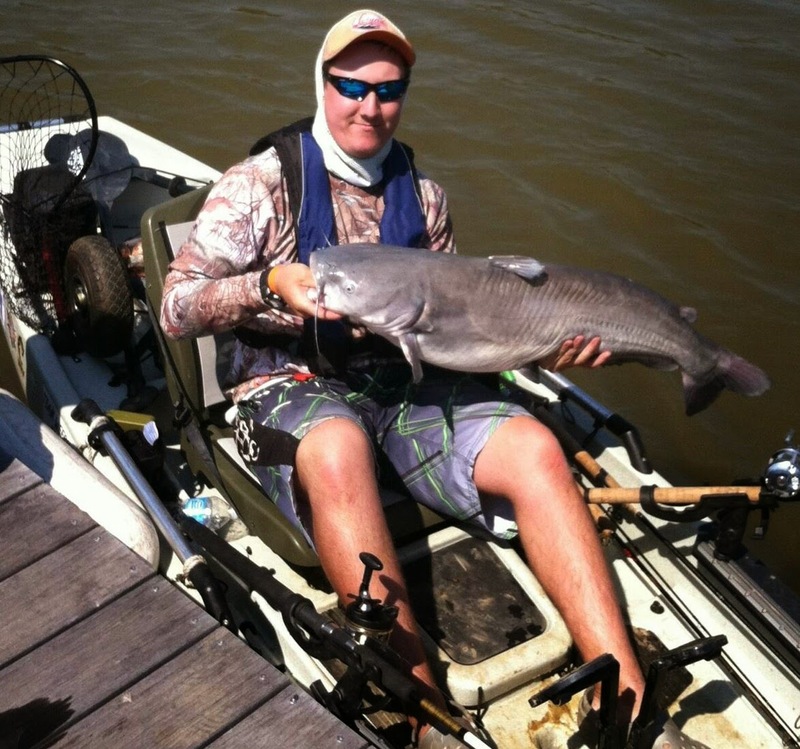 By the time I caught up to him an hour later he had boated a 36” blue cat, giving him a total over 70 inches. It would take a good stroke of luck for any angler to beat that total for the day. It was over for me before it even began. With sunny, bluebird skies it was less than favorable for catfishing. As if that wasn't enough, Grant also managed to win the fly division by landing the largest fish of the day on the fly, a 21 inch blue cat. 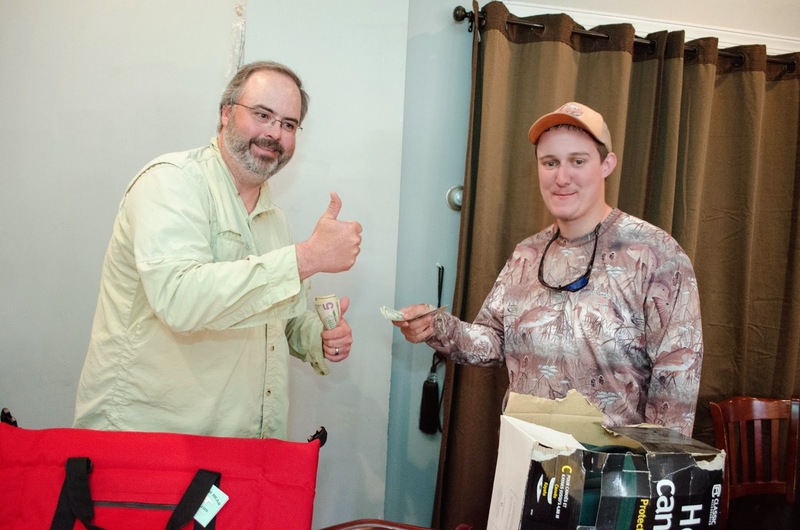 Oh yea, I lost out on winning the Striper division and the $115 pot because I didn't pay the ten bucks to enter, story of my life… but ya know, I’m not bitter or anything. All and all it was a great time, I threw the playbook at them and they just weren't having any of it. Sometimes you just have to realize when you’re out gunned. Grant brought his “A” game and it showed. In the end we accomplished what we set out to do, a pending world record and a tournament win all in one species to kick off the year isn’t a bad way to start! As we close the book on this years’ shad run it’s time to transition into our other targeted species. We should all be thankful that the blasted snow is finally gone and we can enjoy a nice Virginia Spring…. all six days of it.. before it gets hotter than the devil and we hit summer! Anyone from the Old Dominion knows exactly what I’m talking about. Spring here isn’t so much a “season’ as it is a few hours on a random Tuesday in April. We have the momentum on our side after a successful start to the year and we look to keep it rolling through the next few weeks. Grant and I hope you enjoyed the read and following our successes so far! The next few trips look very promising, make sure you check in on the website for upcoming podcasts that will detail what we’re doing moving forward. Here’s to a great yesterday and a better tomorrow!